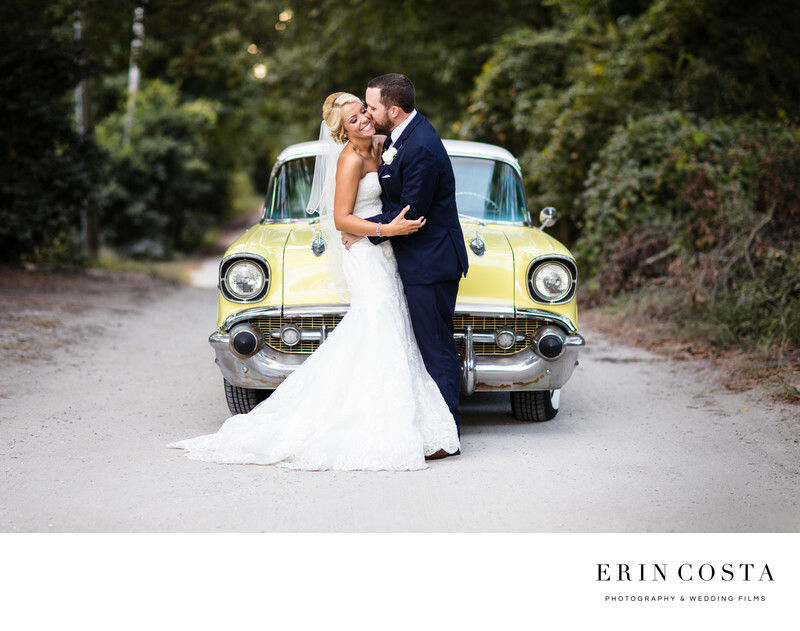 How fun is this wedding image of Kate and Bob with her uncle's vintage car at Wrightsville Manor? Wrightsville Manor is a hidden gem of a wedding venue near Wrightsville Beach with a gorgeous lawn perfect for wedding ceremonies. An old tall oak tree covered in hanging Spanish moss makes it the perfect backdrop for a wedding ceremony. Location: 1952 Allens Ln, Wilmington, NC 28403.